Next Friday, 19th April, for the first time, a contingent of Jewish socialists from Britain will join anti-racists and anti-fascists in Warsaw at their alternative ceremony to the hypocritical Government-led commemoration of the Warsaw Ghetto uprising. In 1943, the Nazis invaded the Ghetto to destroy it on the first night of the festival of Passover but they were shocked to meet armed resistance from hundreds of fighters. This year Passover once again begins on 19th April. The alternative event will include a choir singing in Yiddish – the language of the fighters – and poems and readings as the alternative ceremony moves from the Ghetto Fighters Monument through the Memorial Route of Jewish Martyrdom and Struggle to the Umschlagplatz where Jews were forced on to cattle trucks and deported to Treblinka. For the visiting Jewish socialists from Britain, this event will be the culmination of a 5-day study and solidarity trip during which we will meet Jewish community representatives, activists in the left group Razem (Together), academics who are writing about aspects of Poland’s radical history, and people engaged in the ongoing fight against both the populist right wing government and the far right groups that flourish in the atmosphere this government has fostered. Our contingent will visit monuments and museums, including the grave of Marek Edelman, the last surviving commander of the Ghetto Uprising, who died in 2009. He was a proud Bundist (Jewish socialist) who began the tradition of alternative ceremonies to mark the Uprising. 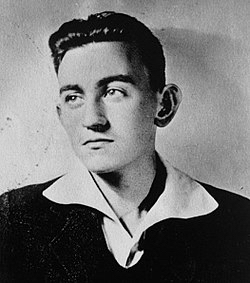 We will also visit the symbolic grave of a fellow Bundist, Mikhal Klepfisz, who smuggled home-made arms into the Ghetto from his hiding place with a Catholic family only a short distance away on the other side of the wall. He took in his last consignment after the Uprising started, knowing that if he went in he would not come out. 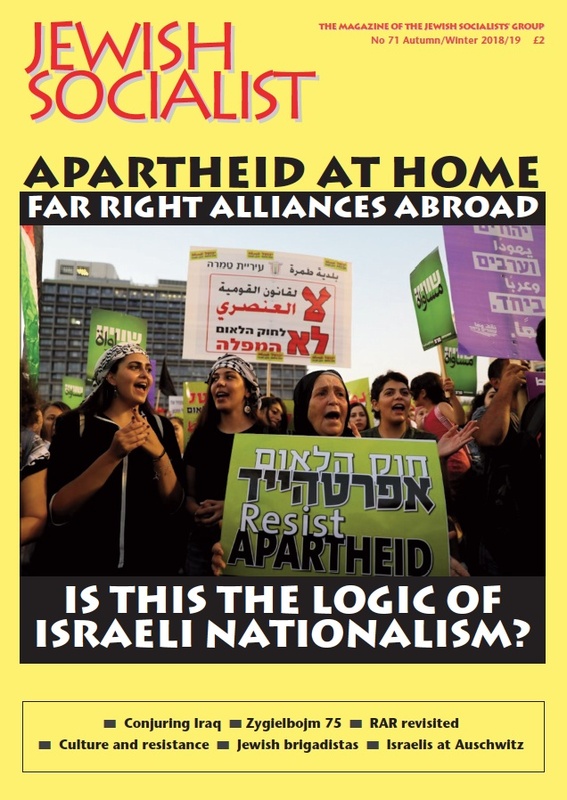 This week the Israeli state took another lurch towards 21st century fascism when the majority of its people voted for Netanyahu’s racist right wing party as well as those even further to the right, and fundamentalist religious parties. Palestinians in East Jerusalem and in the Occupied West Bank were unable to vote while Jews in East Jerusalem and Jewish settlers in the West Bank were allowed to choose representatives who will affect the lives of everyone in Israel and Palestine..
Two governing parties that have been giving strong encouragement to Poland and Hungary’s right wing populist leaders, and who tolerate their antisemitic, Islamophobic, anti-migrant, anti-refugee rhetoric, are Netanyahu’s Likud party in Israel and Britain’s Conservative Party. It is clear that from London to Warsaw we have common enemies.